HALTI has become the world's favourite canine headcollar because it has been designed to combine maximum steering efficiency with unequalled comfort for the dog. 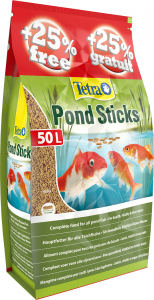 There are no metal parts in contact with the dog's skin and the point of steering is well down the nose and away from the eyes. A particular feature of the HALTI which is not shared by other designs of headcollar, is that it has an on-off muzzling action to close the dog's jaws. 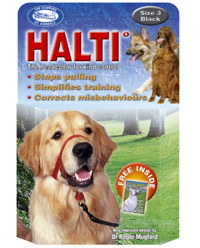 The HALTI makes training and behaviour modification of dogs practical and safe. 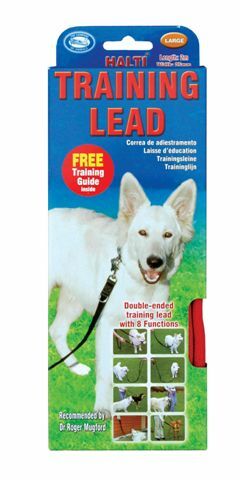 It can be used in a number of ways: either as a passive means to simply stop dogs pulling, or as an active training aid. Handlers can gently direct the dog's head, steering him into desired positions which can then be rewarded and linked to a command associated with that posture, for example 'sit'! 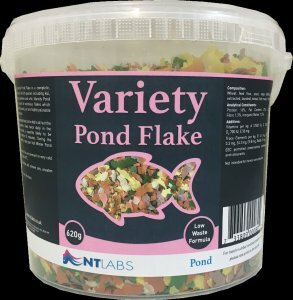 Suitable for breeds like, Afgahn, Airedale, Boxer, Chow Chow, Dalmation, Doberman, Greyhound, Husky, Labrador, Retrievers, Setters etc.